What is the harmonious view that reconciles these seemingly contradictory verses? 1John 5:3 In fact, this is love for God: to keep his commands. And his commands are not burdensome. Mathew 5:29 If your right eye causes you to stumble, gouge it out and throw it away. It is better for you to lose one part of your body than for your whole body to be thrown into hell. 1 John 5:3 teaches us that if we love God we have to obey his commandments and goes on to say that his commands are not burdensome. However Mathew 5:29 seems to be a burdensome commandment. Edit: Specifically what is the Catholic view on this. Well, it would indeed be burdensome if it was taken in a way not intended by the words, namely, literally. Jesus uses hyperbole a lot in His teaching, so that it would be very memorable to his disciples, who were chosen to convey His teaching to the nations—and even to their audience. The meaning of 'cut off rather than' is a hyperbolic way of teaching us to avoid occasions of sin. If [x] causes you to sin, and sin leads to death, avoid x. More than anything else, it's common sense crystalized in a hyperbolic littel packet which is easy to remember and hard to forget. The question assumes that Christians have no more help for overcoming sin than unbelievers, which is not true: they have the Spirit of God in them. And "if by the Spirit you put to death the deeds of the flesh, you shall live." (Rom 8:13)—St. Paul's version of the same teaching. I am the vine; you the branches: he that abideth in me, and I in him, the same beareth much fruit: for without me you can do nothing. Something could also be said of the difference between the Law of the letter, and the Law of grace, the latter of which doesn't change the moral requirements, but involves as a constituional part of the Covenant, the grace won for us on the Cross, of which we are made beneficiaries when we confess to God our sins: that is, mercy. John 1:17(DRB) For the law was given by Moses; grace and truth came by Jesus Christ. And if thy right eye scandalize thee. Here the Lord shows how this precept [not to "look on a woman to lust after her" (Mt. 5:28)] can be easily observed, namely as follows: by avoiding occasions of sin. Placing oneself in occasions of sin is a sin, and this unnecessarily burdens oneself. Christ was always elevating the old testament law. Remember when he said if you look at another woman in lust you've already committed adultery, or that if you hate a man you've already committed murder. Remember the rich man that kept the commands since his childhood but went away sad because Christ said he had one thing left to do, to sell all that he had and give to the poor? All of these examples and many more (including plucking out your eye Mathew 5:29) appear very harsh which is why the disciples responded, "Who then can be saved". Christ responded that with man it's impossible but with God all things are possible. So with the power of the Holy Spirit in our lives even though the law is elevated (or fulfilled) and revealed to us more clearly, we have a greater power in us that allows us to overcome the world. We take on the yoke of Christ and he bears the greater burden and our burden is light (which fits with 1John5:3). Much of the apparent contradiction/paradox appears to result from careless renderings of the Greek text for 1 Jn 5:3, particularly the verbs and prepositions. A stricter, more careful rendering would read more like. "Because this, the agape-love of-the God is-being/existing, in-order-that we-might-be-guarding/watching-over the commandments of-Him, and they-are-not-being heavy/burdensome. "(in which hyphens have been used to render the meaning of complex Greek words and forward-slashes have been used to indicate alternative meanings). The phrase "of-the God" results from the words, "the God" having Greek-genitive spellings, meaning that God is the source/generator/dispenser of this agape-love (a noun here, not a verb). The complex Greek preposition, here rendered "in-order-that" reveals a (dual) purpose/function of this agape-love, namely that 1) we might be guarding/watching-over His commandments, and 2) they are not being burdensome. The Greek verb usually rendered, "keep" is more properly rendered "guard/watch-over"(something valuable), as a shepherd would "keep watch-over" his sheep... from getting lost, hurt, sick, or too tired, hungry or thirsty. Moreover, the spelling of this Greek verb indicates it to be present-active-subjunctive, thus, more properly rendered as, "might-be-guarding/watching-over". Accordingly, the agape-love that originates from God, allows,enables,even facilitates the preservation of His commandments and "keeps" them from being burdensome. Indeed, we are elsewhere informed that agape-love is the fulfillment of the law (Rom 13:10). Regarding, Mt 5:29, I can't think of any improvements to the excellent comments above, regarding Christ's use of hyperbole as a teaching tool, to emphasize the importance of maintaining eternal priorities. Not the answer you're looking for? 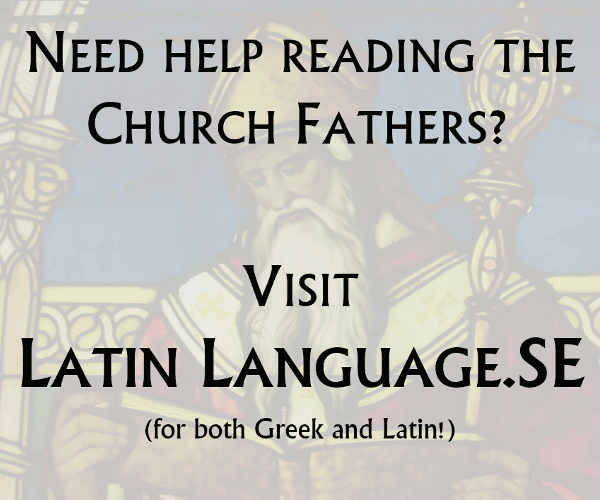 Browse other questions tagged catholicism bible-commentary or ask your own question. How do Christian theologians view and/or use Jewish commentators? How do Catholics understand the gathering of Jews in Isaiah 43:5–6? How do Catholics understand Matthew 10:37?